Welcome to the Reactive Consulting blog. An exciting new service that Reactive Consulting is considering adding throughout New Mexico. Please CONTACT US if you are interested in learning more. John Taffer is a legend in the Food and Bar industry. While his style may be a bit “in your face” for many to appreciate, his advice is formulated through countless stories of success. 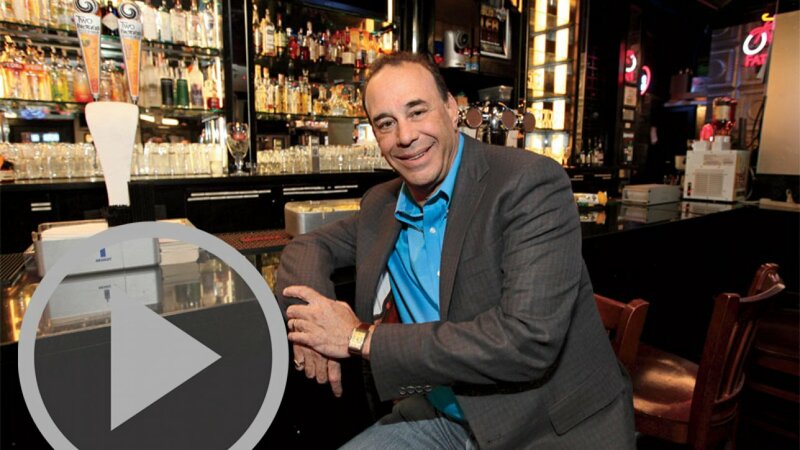 In this video Mr. Taffer talks about the impact that Social Media can have on your business, and how to be “out in front” of it. Recent changes to Facebook allowed embedded videos to auto-play when you scroll to them in your timeline. We quickly grew tired of inappropriate videos that our friends shared auto-playing in the middle of the office, not to mention the battery draw and data plan usage on mobile devices! 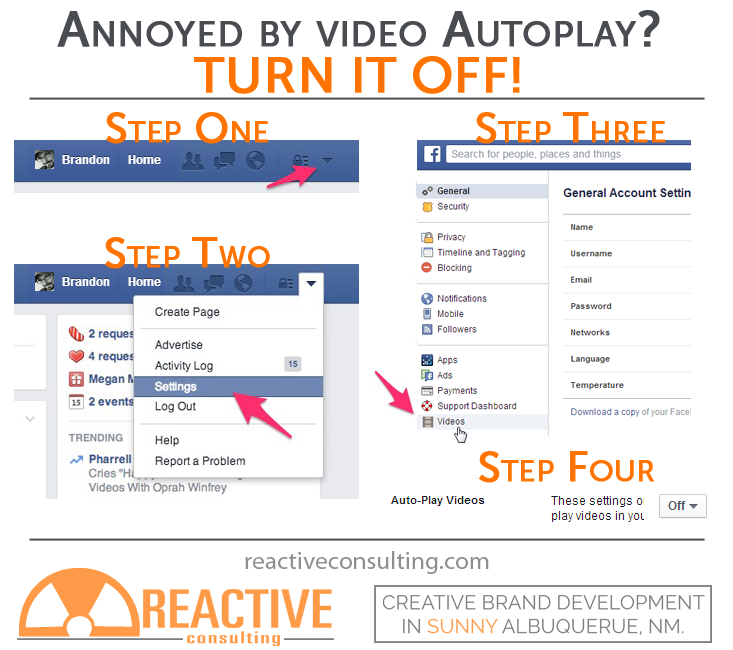 Follow these simple instructions stop facebook videos from auto-playing on your timeline. One of the hardest parts of our work at Reactive Consulting is being creative day in and day out. That said, you don’t have to work in design to require creativity on a daily basis…. Creativity is a major part of most peoples day, and its easy to fall into a pattern of “same ole, same ole”. Don’t let yourself fall into this rut!! We’ve spent hours upon hours researching ways to “stay on top of our game” and this list is an excellent representation on some of the greatest ideas out there! As you wind down your work week and finish up planning the meal for tomorrow, you should definitely consider including a patriotic recipe. There are many fun and patriotic recipe ideas floating around the web…. 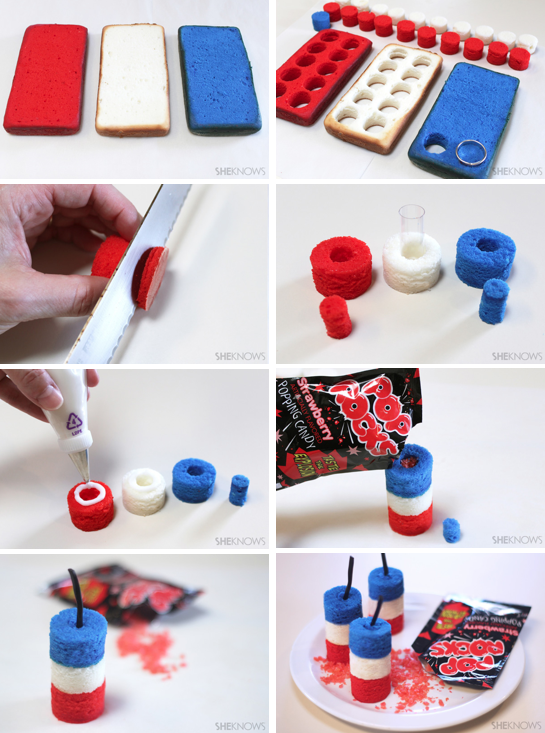 None are as unique and delicious as Firecracker Mini-Cakes!! These are sure to be a BLAST! 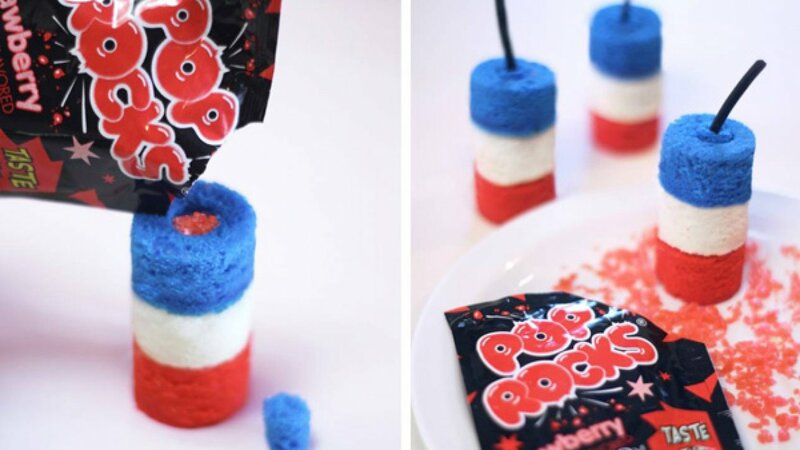 You’re never too old to enjoy the crackling fun of Pop Rocks! Head over to She Knows Food & Recipes for complete details and instructions. Teddy Goalsevelt and the USA replacement player who is HUNGRY! 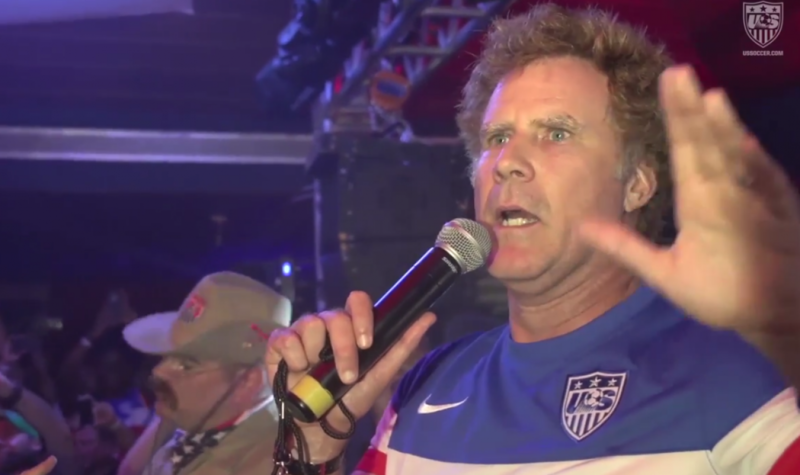 With the kickoff of USA / Germany just moments away, I felt it necessary to post this video where Will Ferrell is introduced as a replacement player for the USA. The good news? Will Ferrell is HUNGRY! He promises to bite EVERY Germany player if he has to. This of course is in reference to Luis Suarez (of Team Uraguay) being banned 4 months from Fifa play. Funny stuff, but most importantly GOOOO USA! While its hardly tech related, one can’t deny the allure of a ALL NATURAL slush on a hot summer day. When I stumbled across this recipe I knew that Moms and Dads everywhere would want to know about this so they could serve it throughout the summer. 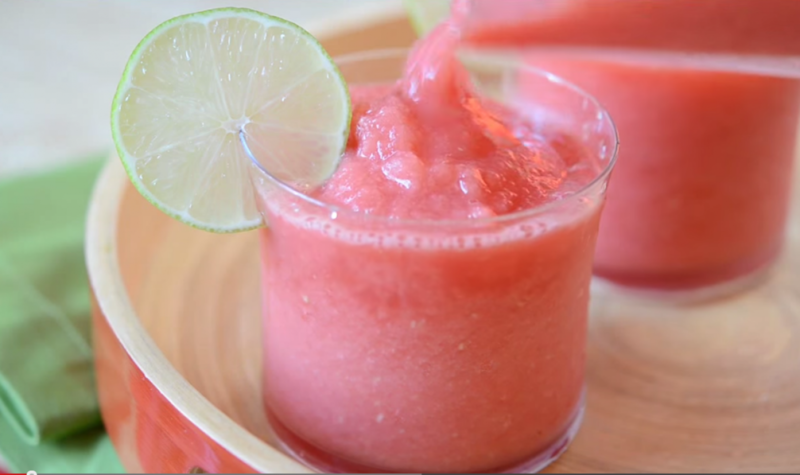 I now present you an easy and refreshing frozen drink for summer; watermelon lime slushies. Many are aware of the issues and complications surrounding Google Local, Google+ Local, Google Places, Google Maps for Business and all the other names that Google has for their local services. 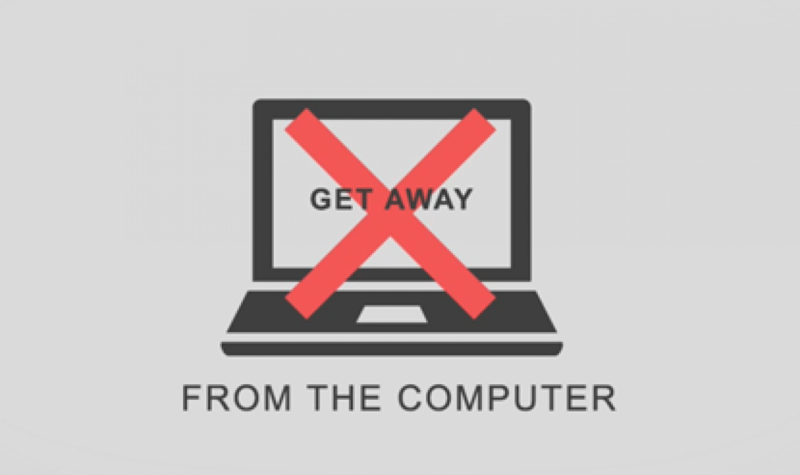 It has been a disaster to navigate and manage… Thankfully the Big G has come to our rescue! 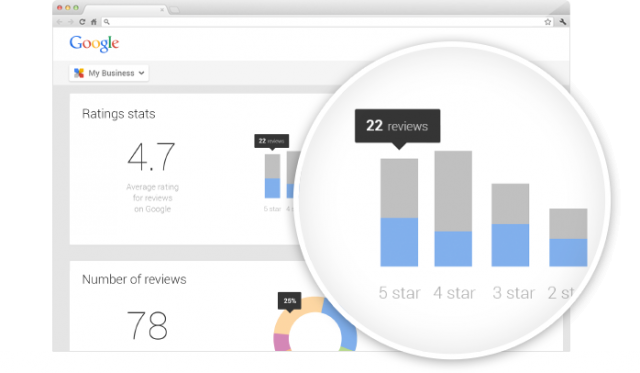 The release of Google My Business is aimed to fix all the confusion. Building a single place, within Google+, where business owners can manage and connect with customers via search, maps and Google+ is going to simplify the process greatly. This is a huge deal for local business! 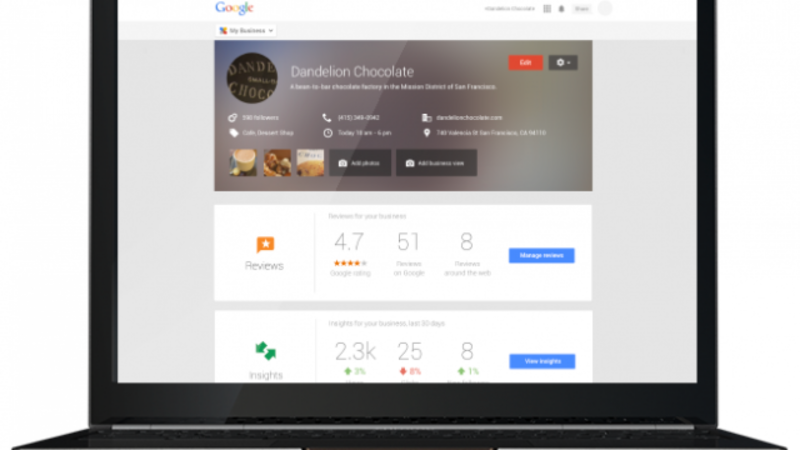 Reactive Consulting is here to help you manage your Google My Business page, ensuring that your online presence equals the high standards you’ve set for your local brand. Contact us today for more information! Why is Social Media So Important for Small Business? If you are one of the few small business who are not yet on social media, you might be curious what all the fuss is about. Do you really need a social media presence or can you just get by with a fully optimized website and newsletter? The short answer is yes, YOU NEED SOCIAL MEDIA…. At least you do if you want to reach your customers and stay competitive. 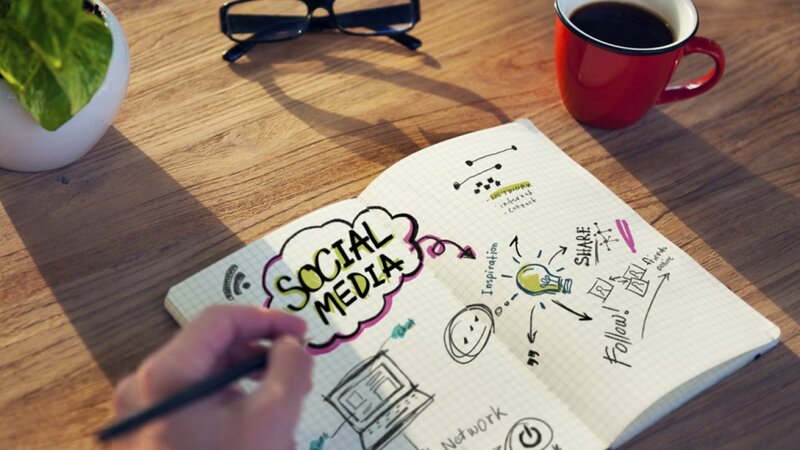 Here are a few reasons why social media has become so important for small business. Your customers are already using it! Studies and reports published by Nielsen over the last 3 years found that Americans spend nearly 1/4 of their time online on social network sites and/or blogs. This means that much of your target audience is already using social media. If you want to reach clients and prospects, you need to be where they are! By using social media you will increase odds that your marketing message will get through to a significant number. It will give you a competitive advantage! Even though you or your business are not using social media, your competitors probably are! If that’s the case, you’ll want to add it to your marketing strategy quickly, or run the risk of falling behind. Rejoice if your competitiors haven’t yet ventured into social media… You can get a leg up on them by taking advantage of a marketing stream before they do. It will help you connect with clients and prospects. Many marketing streams are one way in nature… A business sends its marketing message out and the consumer receives it. With social media you have the opportunity to connect with your customers, and actually have a conversation. Social media helps to create a community of followers that see you as MORE than just a business. They will view you as someone they trust and people shop with people they trust! Social media isn’t just for the big boys…. It’s a valuable and cost effective marketing tool for small businesses everywhere. It’s here to stay, so jump in head first and reap the rewards! Reactive Consulting is available to help plan social media campaigns, run “fan drive” contests and even manage your social media presence. Contact us today for more information! 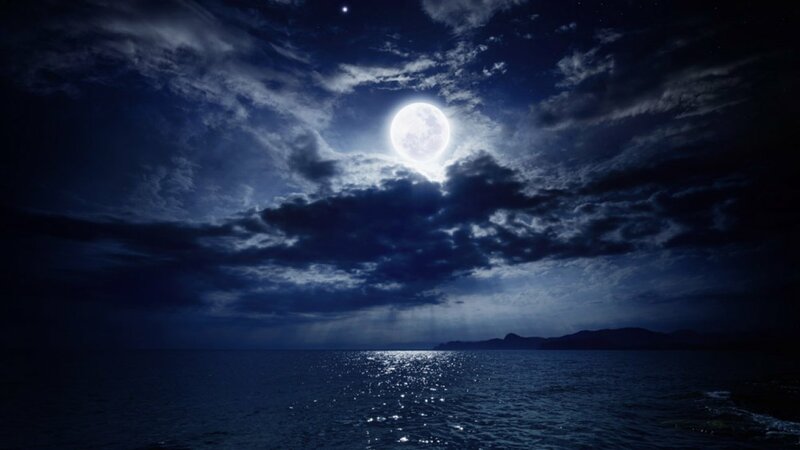 Those of us who are superstitious find Friday the 13th to be ominous and foreboding… Today, Friday the 13th, happens to also be the day of a full moon. This hasnt happened since October 13, 2000 and will not happen again until August 13, 2049. If you happen to be a werewolf, its best to lock yourself up this evening. Stay safe New Mexico, and good luck!